In an Audience of February 7, 2019 given to the Prefect of the Congregation for the Doctrine of the Faith, Cardinal Luis Ladaria, the Holy Father Pope Francis accepted the resignation of the pastoral governance of the Personal Ordinariate of Our Lady of the Southern Cross (Australia), presented by the Rev. 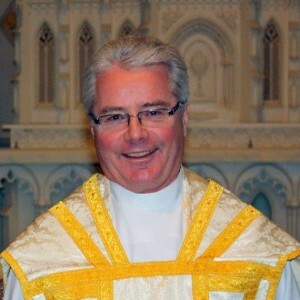 Monsignor Harry Entwistle, in conformity with canon 401 §1, CIC, and nominated Ordinary of the same Personal Ordinariate, Father Carl Reid, until now Dean of all of the Canadian parishes of the Personal Ordinariate of The Chair of St. Peter (USA) and pastor of a community of the same Ordinariate in British Columbia, Canada. Father Reid has accepted the nomination and the Apostolic Nuncio in Australia has been informed of the appointment. Father Reid, born on December 14 1950, was baptized on January 14 1951 in the Anglican Church of Canada. He earned a bachelor’s Degree in Geological Engineering from Queen’s University in Kingston, Ontario in 1973. He earned a Master of Divinity Degree from St. Bede’s Online Theological College. In 2006, he was given the title of Doctor of Divinity honoris causa. He was ordained a deacon in the Anglican Catholic Church of Canada in 1988, and a minister in the same jurisdiction on June 23, 1990. He was ordained a suffragan bishop of the same communion on January 27, 2007. After being received into the full communion of the Catholic Church, Father Carl Reid was ordained a priest on January 26, 2013 of the Personal Ordinariate of the Chair of Saint Peter (USA). Father Reid will be installed as Ordinary of the Personal Ordinariate of Our Lady of the Southern Cross on Tuesday August 27th at 7pm at the Cathedral of St. Mary’s in the Archdiocese of Sydney by Archbishop Anthony Fisher, O.P., Archbishop of Sydney. Archbishop Fisher will be joined by Archbishop Augustine DiNoia, O.P., Adjunct Secretary, Congregation for the Doctrine of the Faith; The Most Reverend Steven J. Lopes, Ordinary of the Personal Ordinariate of the Chair of St. Peter (USA); and Monsignor Keith Newton, Ordinary of the Personal Ordinariate of Our Lady of Walsingham (UK). 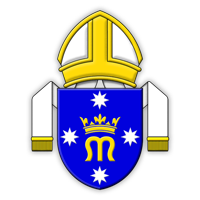 Monsignor Harry Entwistle was the first Ordinary of the Personal Ordinariate of Our Lady of the Southern Cross. Educated at St Chad’s Theological College, University of Durham, he was ordained a priest in the Church of England Diocese of Blackburn in 1964. After various parish appointments in Lancashire, he became a prison chaplain, notably serving at HMP Wandsworth from 1981 to 1988. He migrated to Australia in 1988 and continued his parish and prison ministry in the Diocese of Perth of the Anglican Church of Australia. He entered the Anglican Catholic Church in Australia, a member church of the Traditional Anglican Communion, in 2006. He served as Western Regional bishop of that church from 2006 to 2012. After reception into the Roman Catholic Church and ordination as a deacon, he was ordained to the priesthood in St Mary’s Cathedral, Perth on 15 June 2012. 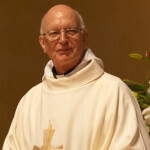 It was announced on 5 April 2013 that Pope Benedict XVI had, before his renunciation of the Petrine Office, named Entwistle a Monsignor among the Prothonotaries Apostolic.